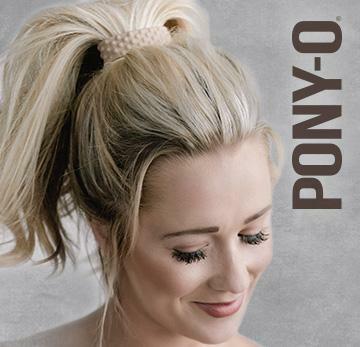 Six quick and easy ways to wear a ponytail that will suit your bangs using the Pony-O! Back when we were midget balls of sunshine running around the house, we were rocking those bangs shamelessly! But now that we’re older and more conscious of how we look, we’re kinda skeptical if we should bring the bangs back because what if we can’t pull it off? We say go out of your comfort zone and try something new and spice some things up when it comes to your hair. If you’re lucky enough to find the right type of bangs that will suit you, your hair game might just change for good! Bangs adds a little something with your overall appearance without looking like you’ve tried too hard. Got fiveheads? Go for the bangs. Want to try something different? Cut your bangs. Want to get a new look? Get banging bangs. It just looks effortless and casual but it looks very stylish as well! To help you with this matter, here’s a complete rundown if you want to know what bangs will suit you. These bangs are best for straight, thick hair. Blunt bangs are cut across in a dramatically straight manner which ends right before your eyebrow. These bangs perfectly cover your whole forehead. It has been going around for a while now and only few can actually rock ‘em at the perfect length. It can be tricky to style, but works best for framing and giving the face some slimming effect. Full of texture, the choppy bang is the thinner version of blunt bangs, covering your forehead, but not as much as the latter. Looks detailed and more edgy as well. Short choppy bangs will give you a softer and more feminine look than long length ones. The side swept bangs forms a diagonal chunk of hair from one side of your hair ending at the other side across your forehead. This one's a classic and considered by many as a type of bangs that’s really easy to style. It can be a styled in a subtle and soft manner or a daring one (don’t lie you used to rock this during your emo phase). It’s similar to the blunt bangs except it arched, as the name indicates, which follows your face’s natural curvature, exposing more of your facial feature in a flattering manner. Wispy bangs has always been a red carpet favorite. We’ve seen a lot of artists rocking this type. It’s more on the safe side because it looks like normal stray hairs which you can still hide and combine with your hair. Let’s give it to the Koreans for rocking this type of bangs best. It radiates a very feminine vibe and also requires the least maintenance and effort. These bangs are so soft and thin that it would pass as long baby hairs! Getting the right bangs for your face shape can be a bit tricky. We suggest getting side swept bangs that are cut in a hard and thick angle which will give you the illusion of a longer face shape. Stay away from straight cut bangs as it will accentuate the face’s circular shape. Girl, you may skip this part because any bangs will work and will look good on you. Talk about #blessed! Think about it, you can rock different type of bangs every month! Go for long length bangs or fringe and have them layered. You can rock the parted fringe, side or wispy bangs as long as you don’t cut them too short! Don’t even think about getting full fringe bangs if you don’t want to accentuate your forehead. Opt for bangs that graze your eyes that extend and tapered to the sides which will soften the your hard facial angles. You can choose between side swept, wispy and arched bangs, just make sure that bangs are longer on the side and bangs at the center will fall just a bit below your brows. Finger comb your hair into a high ponytail straight back at temple level and a little off center. These last minute hairstyles will save your bangs! Let us know which one you will wear in the comment section below! Stepping out on the ledge and getting bangs? Better order your Pony-O too! Click here to get yours!